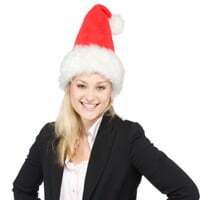 B2C businesses are getting ready for the holiday season. While you don’t want to start marketing for the holidays too early, you do need to stay on schedule. With social media and email marketing becoming increasingly important to consumers, B2C businesses need to develop a more sophisticated holiday marketing calendar. The holiday marketing calendar will include which campaigns will launch when. Depending on your business and your market, the specific days you want to focus on will vary. But many businesses need to set specific goals for each of the big shopping days: Black Friday (the day after Thanksgiving), Small Business Saturday (the Saturday after Thanksgiving) and Cyber Monday (the Monday after). Most smaller businesses do not have the huge budget that larger corporations have to start blitzing consumers beginning on Thanksgiving with TV commercials, radio commercials, paper advertisements, and sponsorships. Some of these marketing channels fit into any business’s budget, but social media gives you a big bang for your buck. If you can engage your customers and connect with them, you can help drive sales during the holidays. Did you know that 39% of consumers have already started their holiday shopping by August? You do not have to use a snowflake and Santa Claus theme in your social media before Halloween, but you can start making posts and running specials for gift cards and potential gift items. Write down when you want to send your email newsletter, plus some additional “holiday special” emails in between. Coordinate your campaign on Facebook or Twitter. Decide if you want to offer a local deal, and when. Small Business Saturday was started by American Express to drive shoppers to local merchants on the Saturday after Thanksgiving. Remember that the three big shopping days at the end of November are just the beginning. Many customers continue shopping until the end of the year. Look at what your customers need, and when, in light of the type of business you have. Draw up a calendar that includes social media to give your holiday sales a boost. 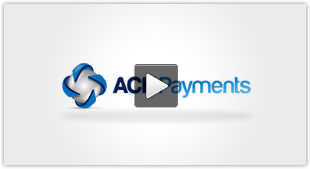 ← How Does ACH Credit Card Processing Work?